Radicchio is a member of the chicory family. It’s a great source vitamin C, carotenes and calcium. 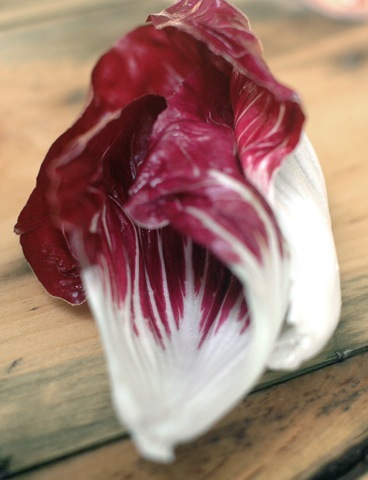 Radicchio has a reputation for being very bitter but young heads can actually be surprisingly mild. Their pleasant tartness makes a perfect partner of sweet accents like balsamic vinegar, currants and pears. Enjoy! 1. Soak lentils in enough water to cover for 30 minutes. Drain, place in a small saucepan and cover with 1 L water. Bring to the boil and simmer for about 18 minutes, until tender but not mushy. Drain, rinse with cold water and drain again very well. 2. Combine lemon juice, walnut oil and pear in a large salad bowl. 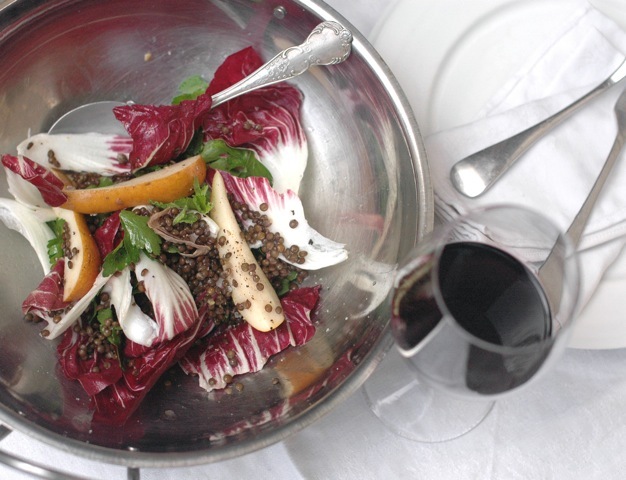 Add lentils, season well and toss the radicchio, parsley and mint through. Serve with plenty of cracked pepper on top.